Today at the Jay Godfrey SS 2015 show, the world of the wild west met the world of rock n roll. 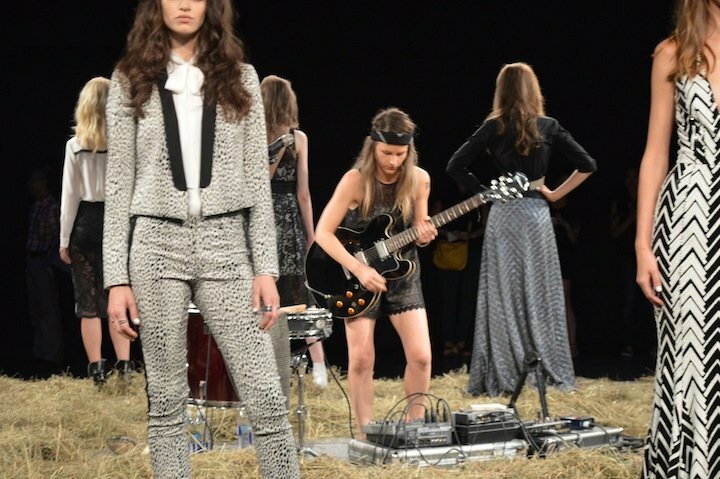 The backdrop to this NYFW show; held in the Hudson Hotel, was a hoe down complete with bushels of hay, and a one woman rock n roller jamming in the middle of all of it. 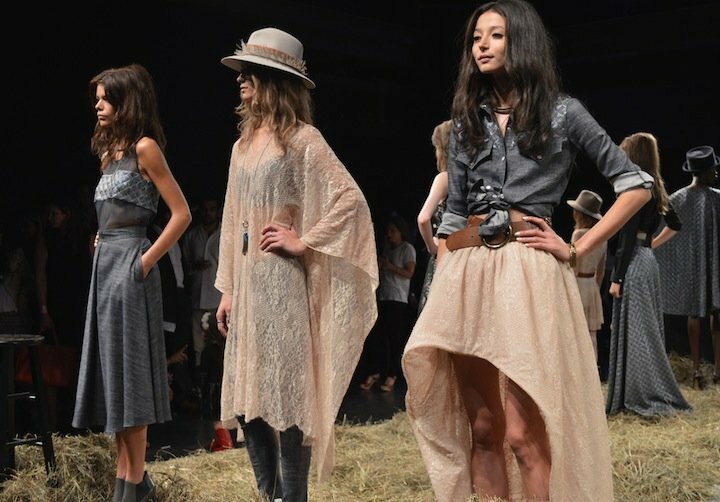 From fringe on jackets and brightly colored dresses, to quilted denims, lace, and beaded dresses, the juxtaposition of both cowgirl and rocker chic was evident throughout the entire collection. 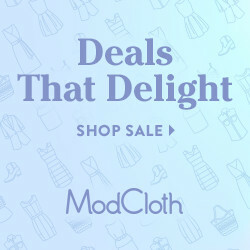 Denim was a reoccurring theme, showing up in a covetable quilted, cape, and matched with a gorgeous high-low skirt and thick belt to blend the perfect amount of western and classic chic. 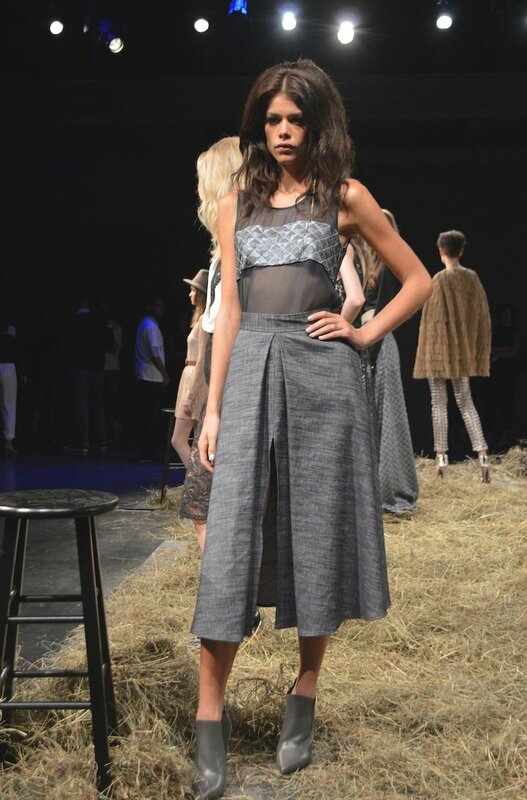 But the best, and my favorite piece was a 2 pieced denim dress with a mesh body, and denim panel covering the chest. I’m not sure I could rock this, but it’s sure fun to look at. 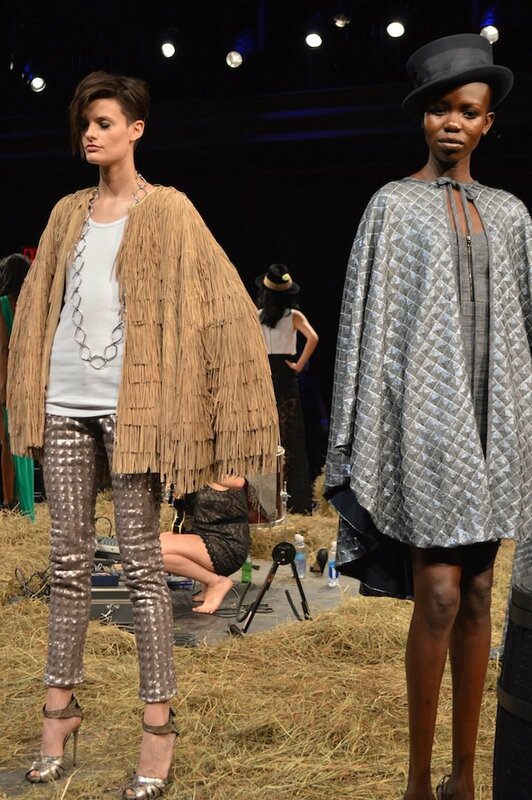 Other standouts included a pair of gold, studded pants matched with a fringed, camel cape. These pieces, and the ones more western in nature, like a long, cream, tunic meets kimono are hippie at heart, but with a rock n roll spirit. Black high boots, and undergarments hint out, from under the textured tunic to remind us that behind every free spirit is a bit of a bad girl.